A collection of featurettes, clips & TV spots are now below for 'Dredd,' also here is a link for a prequel comic. Directed by Peter Travis from a script by Alex Garland, the film stars Karl Urban, Olivia Thirlby and Lena Headey. 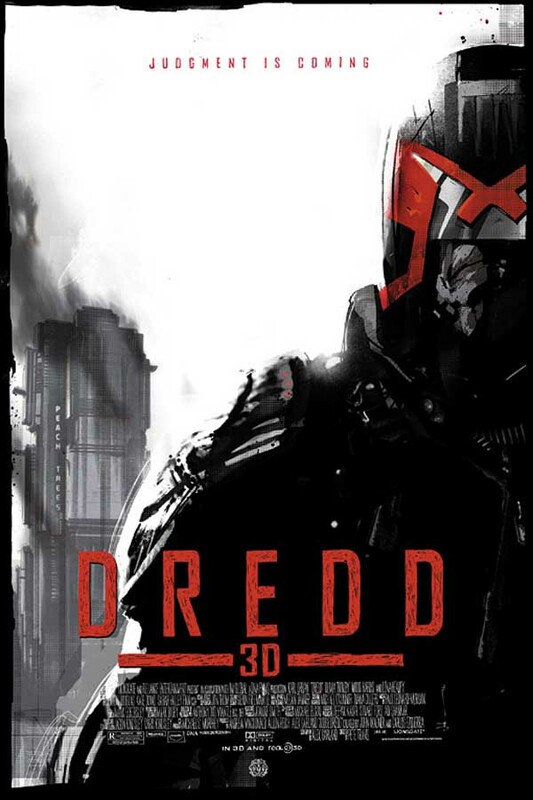 The endlessly inventive mind of writer Alex Garland and director Pete Travis bring DREDD to life as a futuristic neo-noir action film. Filmed in 3D with stunning slow motion photography sequences, the film returns the celebrated character to the dark, visceral incarnation from John Wagner and Carlos Ezquerra's revered comic strip. 'Dredd' is already out for Ireland and UK, September 21 for the US.